The voting period for the general elections of the Commerce and Administration Students Association will run from Feb. 13 to 17. CASA represents approximately 7,000 students from the John Molson School of Business. Quorum for the election is 2.5 per cent. 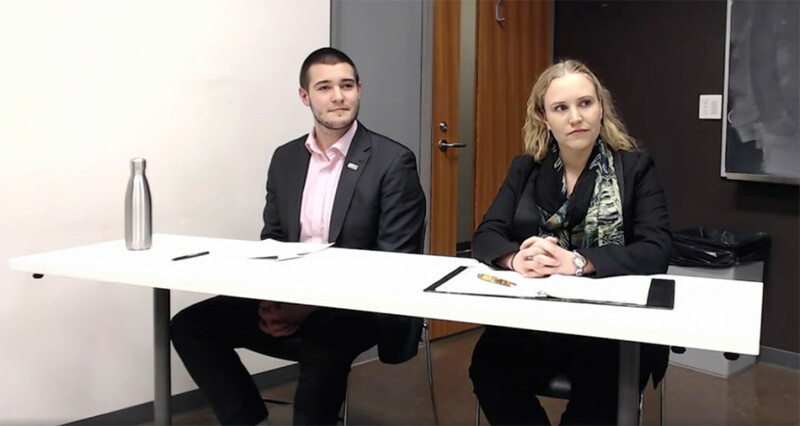 This year both of the presidential candidates, Rudy Grow and Elizaveta Bykova, want to hear out their students, and accurately represent the opinions of all JMSB students. Bykova wants to create a stronger community within JMSB. She has already been involved within the community as a mentor for the John Molson Academic Committee. “I want to represent everyone at the same time, but if students agree that they share some ideas with me, I would be pleased to serve them and make sure CASA can provide to them,” she said. Bykova would also like for students to be prepared for the business world once they graduate from university. In terms of improving CASA’s reputation around the university, Bykova said her background in management can help her and CASA as a whole if there are any crises. Bykova said that her experience as a team leader in the companies she’s worked at, can help her succeed as the CASA President. Grow is currently CASA’s Vice-President of External Affairs, but wants to return as president to improve CASA’s image around Concordia in his final year of school. Grow wants to improve the CASA’s services to its students by conducting a survey to really understand the needs and wants of its members. “Their more targeted events toward majors and special interests would be better catered to the needs of students,” he added. He also wants to promote the events that CASA has and hopes that they will see a higher turnout. In response to what has been happening with CASA in regards to the Facebook posts that leaked from CASA’s private executive page to the public CASA-JMSB Facebook page, Grow believed that being more transparent about the issue would have led to less backlash. “It’s all about being proactively transparent about things,” he said. Grow also stressed the importance of engaging in the elections this year and voting. He said that he’d like to see more students go out there and vote.